Xenical's Club New You Recommends Zumba workout! 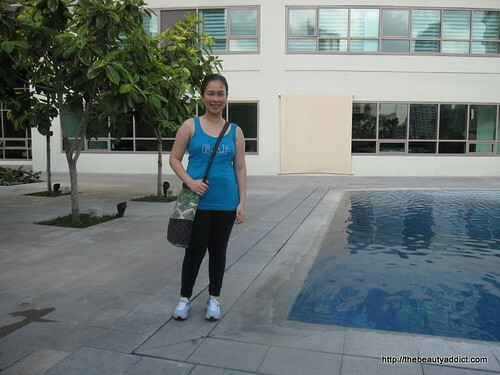 It was my first time to try Zumba last week during Xenical's Club New You launch. 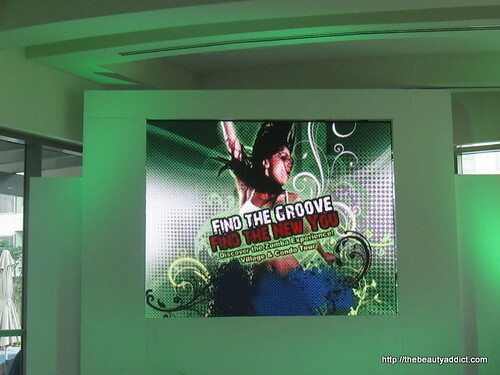 Zumba is a type of dance workout that has been grabbing the attention of fitness enthusiasts out there. It's very interesting as it combines cardiovascular exercise with body movements from Latin dances such as Flamenco, Salsa and many more. I'm not a good dancer but I didn't worry because going out there doing the Zumba moves and getting silly was so much fun. I didn't feel stressed in pushing and moving my muscles even a bit. I've been really frustrated with my weight and body shape after I gave birth. I can't go on a diet because I'm still breastfeeding my baby. Of course I always choose the health of my baby first before my vanity! So my only option is choosing the right food and exercise. But it's hard haha! Anyway, I promised myself to exercise regularly after trying out Zumba because I realized how good it really feels to sweat and do something for myself. Before the event, everyone was given a bandana for the workout. I initially chose pink but since I was wearing a bright blue I got green instead. 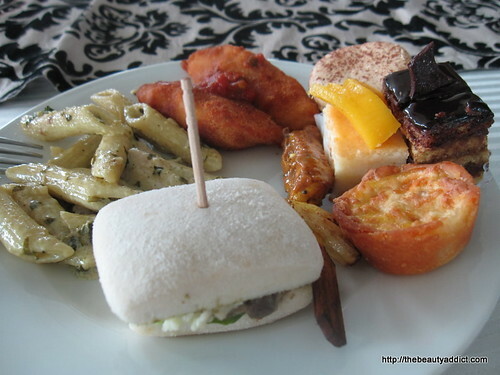 I usually do not eat before exercising but the food Xenical team served was so delish I can't say no! I really should practice discipline if I want to lose weight. 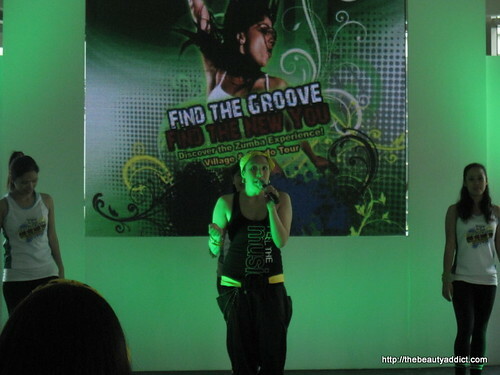 The Xenical Club New You launch was again another event hosted by Ms. Bianca Valerio. I wouldn't be surprised if she's the favorite of all event organizers. She's beautiful, bubbly and can relate to every audience. Glenn was right! She now has blonde hair. 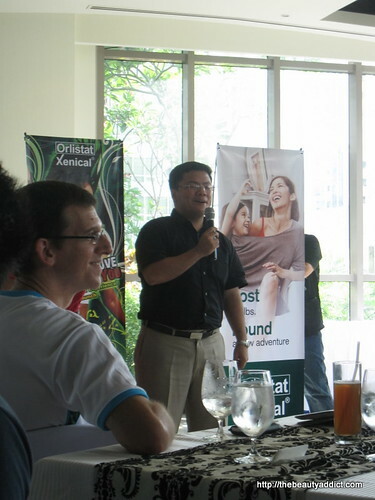 Club New You is a program that aims to serve Filipinos who are looking for a holistic and effective weight-loss plan. If you want to become a member, just visit the Club New You website and register. Of course, there will be many perks if you become a member: there will be fitness counselors that will track your weight loss progress and offer advice regarding your diet, perks such as discounts and special promotions at various gyms, restaurants and retail establishments around the country. Not only that! If you register and activate your membership before July 15, you'll get a FREE one week Xenical pack. After the presentation, bloggers and media were able to ask some questions about Xenical to the doctors and consultants. 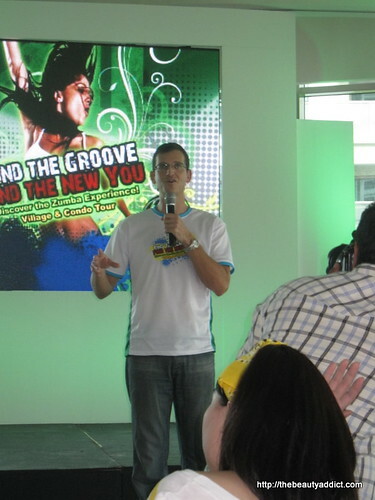 After the QA, we were able to experience a 30-min Zumba workout. 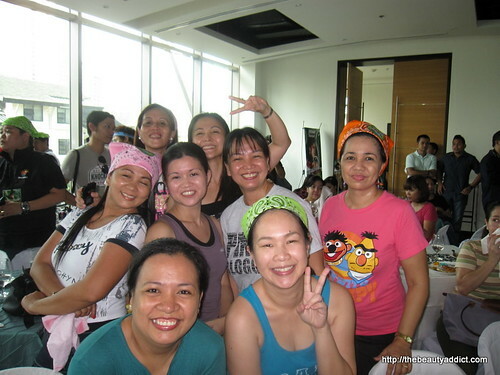 We were all so happy after we sweat, pumped our legs, windmilled our arms, turned our hips, and clapped our hands to the frenzied beat of Zumba. It was intense but really fun. We didn't even feel we were exercising. 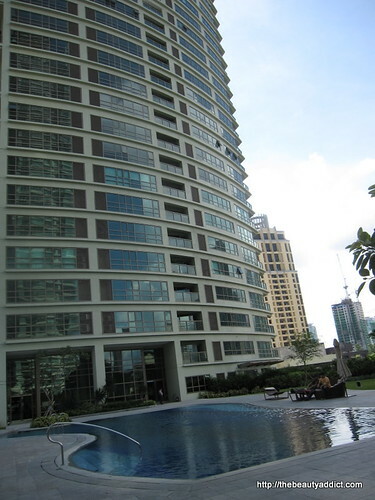 Before I left, I took a photo of the San Lorenzo Condominium at Greenbelt where the event was held. 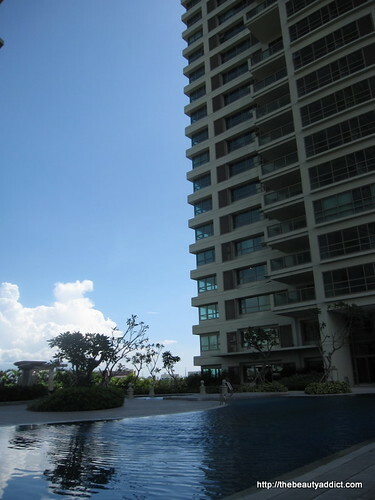 See how nice the facade is? 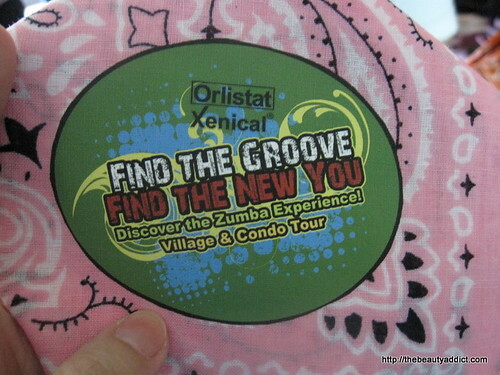 Anyways, Zumba will be having a village and condo tour to give a chance for eveybody to experience this new workout. Watch out for announcements ok? In my opinion, it's better if you can attain your weight goal with just exercise. But if you're having a problem with obesity, taking Xenical will be a great help. Combine it with Zumba, you'll really see a NEW YOU in no time! What do you think about Zumba and Xenical?